International Association of Democratic Lawyers is a non-governmental organization with consultative status to ECOSOC and UNESCO. It was founded in 1946 by a gathering of lawyers who had participated in the Nuremberg Trials. "The real and ideological interests of the IADL were covered by the agenda... which considered law to be a function in the struggle against imperialism, colonialism, neo-colonialism, racism and apartheid. Under the banner of anti-imperialism the IADL's thrust... was to do battle with the large international companies as a way to gain adherents and backing in the developing world." 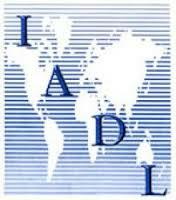 The IADL has a Western Hemisphere regional subsidiary, the Association of American Jurists, headquartered in Havana. The IADL's major U.S. section is the National Lawyers Guild, organized in 1936 with the assistance of the Comintern as a Communist Party USA front. The NLG is still controlled by an alliance of "Old Left" CPUSA members and supporters and other revolutionaries aligned with Cuba and Vietnam. The NLG and the closely related National Conference of Black Lawyers are affiliated with both the IADL and AAJ. IADL activities parallel the other international Soviet fronts. During the anti-Vietnam period, lawyers active in the IADL's U.S. section, the NLG, and in another CPUSA front, the National Emergency Civil Liberties Committee organized a secondary front, the Lawyers Committee on U.S. Policy toward Vietnam, in which Richard Falk, Richard Barnet and others were active. A parallel can be drawn with the subsequent formation of the Lawyers Committee on Nuclear Policy. This page was last modified on 8 August 2016, at 15:25.